The luxury five-star resort in Goa, The LaLiT Golf & Spa Resort spans over 85 acres and offers stunning sceneries of Majestic Arabian Sea. The hotel is elegantly designed in traditional Portuguese style of architecture and offers an ideal blending of traditional Goan culture with the exotic Portuguese traditions. Verdant expanse of lush green gardens, a luxurious golf course and unyielding facilities and services make one’s stay here truly memorable. The LaLiT Golf & Spa Resort Goa features 255 elegantly furnished suites. The guests enjoy views of lush green gardens and Majestic Arabian Sea from every suite. The luxury never ends in any of the suites be it with interiors, furniture, drapes, curtains, sofas or various amenities that are provided in here. The rooms are divided into 238 Sea View and Garden View Suites, 14 Luxury Suites and 3 LaLiT Legacy Suites. There are also 10 Luxury Villas offered for guests so that they can spend private time with their loved ones. In every room following amenities are provided: Climate control, Complimentary newspaper, Welcome amenities, Phone, Direct-dial phone, Voice mail, Mini-bar, Wake-up calls, Coffee/tea maker, Complimentary toiletries, Complimentary bottled water, In-room safe, Daily housekeeping, Clock radio, Air conditioning, etc. 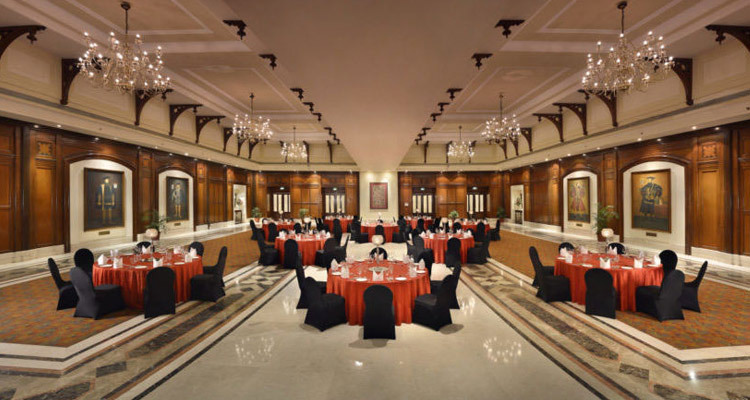 The LaLiT Golf & Spa Resort Goa is one of the finest Goa hotels offering a variety of finest and exotic dining options amongst all the hotels and resorts in Goa. The ambience is perfect to celebrate the miracle called ‘life’. Sirocco Restaurant and Bar: Delicious Mediterranean Cuisine offered here. Corta's: Best restaurant in Goa for tasting Goan cuisines. Also features mouthwatering seafood and grills. Veri Feni: Offers wide range of liquors and cigars. Do try the local drink of Goa, Feni at this bar. Gazebo: Delicious beverages like fruit juices, milkshake and ice cream shakes, along with wide range of mocktails and cocktails available here. Canacona: Deliciously brewed coffee with tasty quick bites. Sea BQ: Barbeque and Tandoori delights offered in this pool side restaurant. 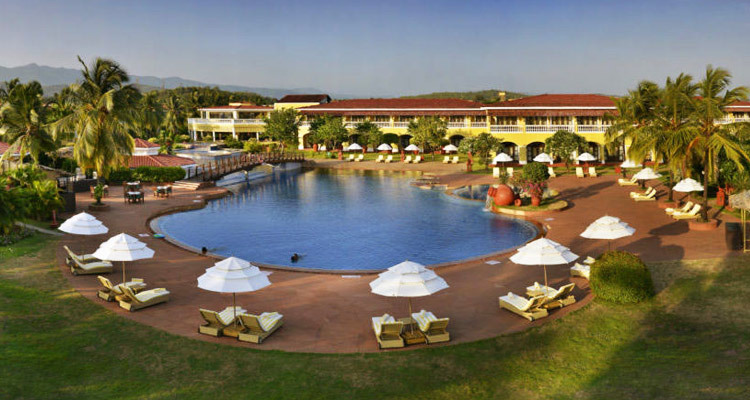 The Lalit Golf & Spa Resort Goa excels in serving corporate elites. The hotel has a spacious Business Center which is fully equipped and functional. Guests can hold conferences and meetings in the hotel conferences rooms. The resort also features 24-hour internet stations where high speed internet facility is available so that corporate tourists do not find any hindrance while working. Other business amenities include fax, printing and photocopying. 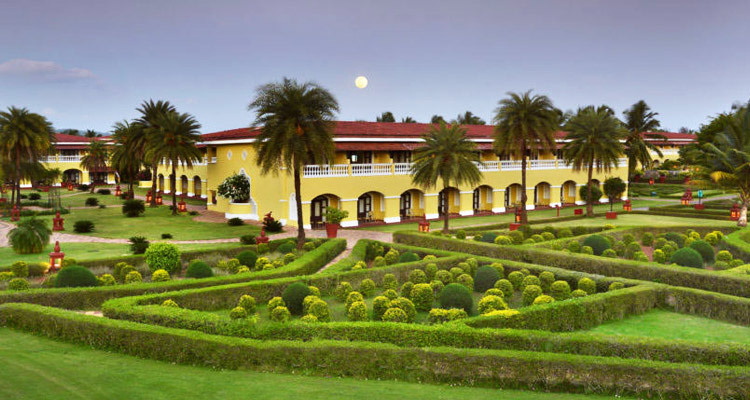 One of the first ever developed Golf Resorts, Goa Golf Greens, is in this hotel. It is probably the only international quality golf course in the state. 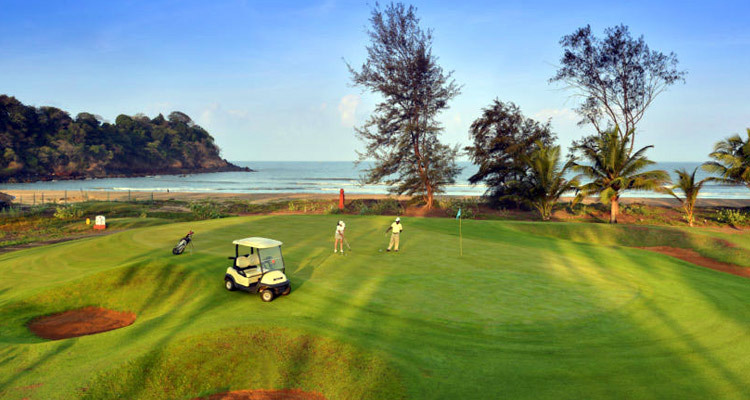 The business tourists can enjoy multiple games of golf in the 9-hole golf course. This golf course has been defined by all as “Real Golfers’ Paradise. Golf tournaments are held here all year long. There is also a pro Golf Shop here where golfers can shop for amenities like Golf bag, gloves Hats, shoes, caps, T-shirts, Golf balls, and other Golf Gifts. 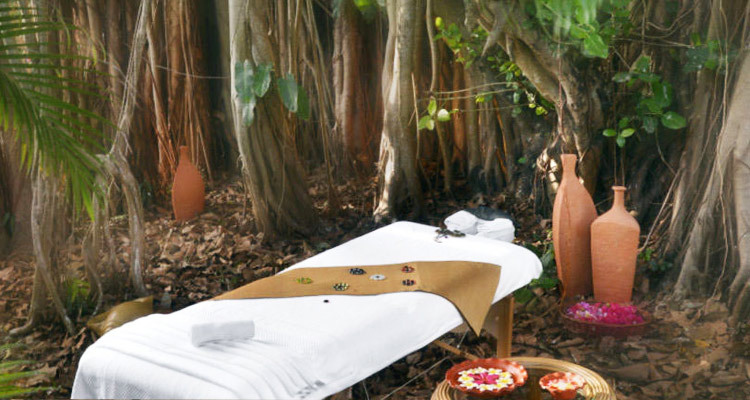 Rejuve – The Spa at the hotel is the second largest relaxing spa in whole of Goa. Other recreational activities in which guests at hotel can get involve in are as follows: Henna Painting, Kite Flying, Aquaerobics, Pool Volleyball, Saree Draping, Vegetable Carving, Kids corner, Clay Pigeon Shooting, Beach Volleyball, Archery, Treasure Hunt, Bicycle riding, Scavenger Hunt, Tug–of–War, Beach Olympics, Beach Football, Kabaddi, Beach Volleyball, Human Knot, Lawn tennis, Sports Complex, Squash, Table tennis, Jet ski, Parasailing, Water ski, Banana rides, Wind surfing, Ringo rides, Dolphin trips, Trekking trips, Fishing trips, Sunset cruises, Yoga, Gymnasium, Steam, beauty salon, Jacuzzi, Ayurvedic treatments, Swimming pool, Beauty services, Souvenir Shopping, motor bikes, Jacuzzi, and Archery Competition. Other hotel facilities offered in this 5-star resort are following: Train station pickup, Airport transportation, 24 hours Room service, Safe-deposit box at front desk, 24-hour front desk, Porter/bellhop, Babysitting or childcare, Currency exchange, Parking, Medical assistance, Tours/ticket assistance, Complimentary newspapers, etc.